Courtesy Photo / treehugger.com Michigan voters can cast their ballots November 2nd. As recently as Oct. 19, public opinion research organization Rasmussen Reports recorded that of 500 likely voters surveyed, Snyder’s camp controlled 54 percent and Bernero’s 34 percent. An additional 4 percent preferred other candidates while the remaining 8 percent were undecided. 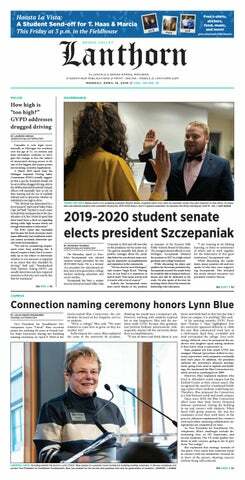 Grand Valley State University College Republicans Chairman Kyle Smith believes Tuesday should prove an easy victory for Snyder. But GVSU College Democrats President Paul LeBlanc believes the election “is still anyone’s game” and stressed the importance of voter turnout. Integral to both candidates’ campaigns is an issue of particular concern to college students- reducing what has become known as the “Brain Drain” in Michigan – the flight of the state’s higher education graduates to more prosperous regions of the country. Paul Cornish, professor of political science at GVSU, said while the issue is not simple, addressing and resolving the problem will be an important task for whichever candidate wins. Snyder said his solution relies on three tiers of change – fostering an environment friendly to the creation of jobs, reinventing economic development in Michigan’s big cities and the cultivating of a network of mentorships. In the vein of the first tier, Snyder said there is work to be done in tax and regulatory reform, namely the elimination of the Michigan Business Tax. Snyder plans to replace the tax with a flat tax for all businesses. As for the second tier, Snyder said the “alarming” flight of Michigan graduates to urban areas in other states has long been an issue of importance. The latter tier, Snyder said, is one that can be accomplished near term, will not cost taxpayers dollars and played an important role in his career. While Bernero’s education plan focuses largely on K-12 students, he lists providing “stable, predictable funding” to colleges and universities as one of his key planning points and also advocates the restoration of the Michigan Promise grant and increased access to higher education. As a result of that legislation, the average Pell Grant will increase by more than $600 throughout the next seven years, saving the federal government $10 billion. “I have talked to more than a few students who noticed a sudden uptick in the amount of grants and federal loans they were offered this year and they have that bill, passed by the Democratic Senate leadership, to thank,” LeBlanc said. LeBlanc also stressed the positive impact Democratic legislation such as the American Recovery and Reinvestment Act, also known as the stimulus bill, and the Patient Protection and Affordable Care Act, the health reform bill, have had on students. The stimulus bill increased the average Pell Grant by $500, directed $200 million to work-study programs and extended a $2,500 tax credit for college-related expenses, while the health reform bill allows students to stay on their parents’ health insurance plans until age 26. “The Democratic Party on a state and federal (level) has therefore demonstrated an unparalleled commitment to college students and higher education and anyone pursuing a college education should take this to heart when making their decisions on election day,” LeBlanc said. A venture capitalist, Snyder has invested $6 million out of pocket into his campaign. Before the Aug. 3 primary election, Snyder had already outspent Bernero sevenfold, according to campaign finance reports filed with the Secretary of State. In total, Snyder’s campaign has raised $11.5 million and Bernero’s campaign has raised almost $2 million. Some of Snyder’s biggest financial supporters include the Republican Governors Association, which funded almost $2 million in television advertisements for his campaign, and the Michigan Republican Party, which donated $60,000 to Snyder. Meanwhile, Bernero’s campaign reports demonstrate heavy union support. He has received $20,000 from the Operation Engineers Local 324: $10,000 each from Teamsters 229 and 1038 and $5,000 each from the Michigan Nurses Association and Teamsters 406 and 322. As of Oct. 23, Snyder’s campaign had $2.3 million on hand whereas Bernero had $167,754 left in his war chest. Cornish said though the argument can be made that funding contributed to the Republican candidate’s performance so far, Snyder owes a large part of his success to not being a career politician in a society that directs a lot of criticism toward its elected officials. Cornish said regardless of which candidate wins, Michigan’s next leader will have to circumvent the impasse between the legislature and executive office that has plagued the state government in recent years. “The next governor, if they’re going to be successful, is going to have to persuade people to adopt their program and then hope their program works,” Cornish said. In addition to hitting the polls tomorrow, students can also attend viewing parties and other events around the Grand Rapids area. LeBlanc said the College Democrats are hoping to secure Area 51 in Kirkhof Center for a results viewing party Tuesday night. Meanwhile, the College Republicans will be making what Smith called “a final strong push” at the Kent County Fix Michigan Center, located at 264 Leonard St. NW.